A wearable robotics conference by day and skiing in the alps in the afternoon? “Sign me up!” said 67 participants from 15 different countries. 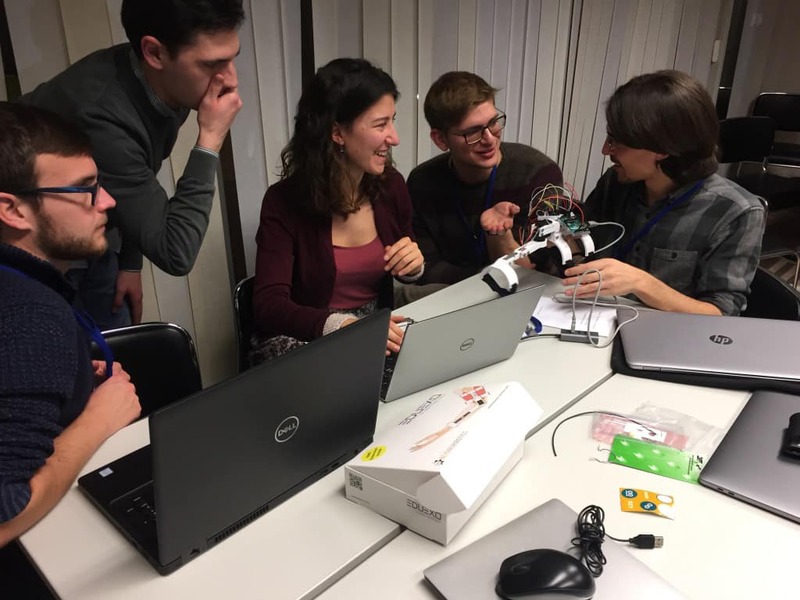 Last January the COST Action on Wearable Robots CA16116 held its first Winter School in the winter sports town of Kranjska Gora in Slovenia. 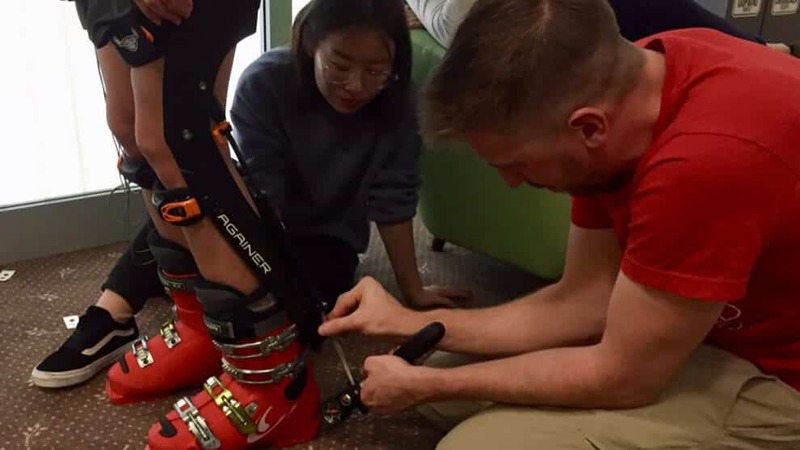 For one week, students focused their attention on the “latest developments in mechatronics for wearable systems, neuromechanics, ergonomics, interaction control and augmented sensory feedback.” The morning block was followed by a four-hour slot for lunch and skiing. Upon returning from the slopes, students engaged in one of nine mini projects until the late evening. The morning block was not a collection of dry lectures, but instead, the schedule incorporated presentations by notable leaders in exoskeletons and wearable robotics. The speaker list included such figures as Dr. Tom Sugar (Arizona State University & Wearable Robotics Association), Jose Gonzalez (Research and Innovation Manager of Ottobock) and many others. Topics ranged from human-machine interactions, exoskeleton compliancy, wearable robots design and control, to the future of wearable sensors. The planned evening mini-projects included two that were particularly suited to the afternoon skiing activity: does the Againer Ski Exoskeleton reduce the torque on the spine (specifically the L5S1 vertebrate) and is there a reduction in the muscle activation in the legs (featured image). Another project centered around the topic of making exoskeletons more transparent – from the point of view of the user making the device feel as if it is not there (image above). The COST Action Winter School was both a mini-vacation and mini-wearable robotics conference all rolled into one. 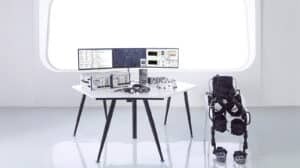 What a fun idea to attract new talent to the exoskeleton industry and lay the groundwork for future collaborations! Perhaps the organizers will be able to turn it into a recurring event. Bernhard Graimann was replaced at the last moment by Jose Gonzalez, Research and Innovation Manager, Global Research, Ottobock.